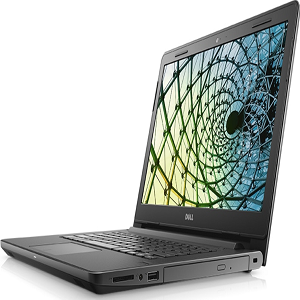 Buy Dell Vostro 3478 Intel Core i3 8th Gen 14-inch Laptop (4GB/1TB HDD/Ubuntu/Black/2.25kg) @ 14% Discount. Business-class 14" laptop with built-in DVD drive ideal for professionals who rely on essential security features. Boost productivity: Up to 8th Gen Intel Core i5 processors deliver all the power you need to get things done at work or at home. You can opt for the built-in discrete graphics from AMD with 2GB GDDR5 vRAM for a performance boost. More memory: With up to 2 SoDIMM and up to 16GB DDR4 memory, multi-taskers can keep several applications open at the same time and switch between them easily without lag. Burn, read, write and load: The built-in DVD drive lets you copy or transfer files quickly or install business software and applications easily. No IT, no problem: Optional Dell ProSupport or ProSupport Plus offer 24×7 direct access to advanced-level technicians to help you troubleshoot and resolve issues in no time. 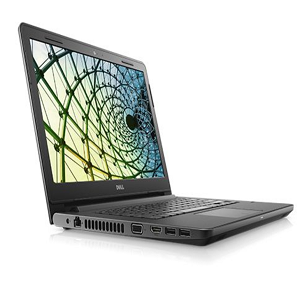 Dell Vostro 3478 is a 14 inch laptop with 8th Generation core i3 processor with 4 GB of RAM and 1 TB hard-disk, comes with Ubuntu OS.